Dark Horse Comics has announced that the Tomb Raider Archives Volume 2 Hard Cover, will be out on June 14, 2017 as Print Edition. In pursuit of adventure—and the world’s rarest treasures—Lara circles the globe . . . and even goes off the edge of the map. Journey along on her most memorable expeditions as she teams up with a treasure hunter from the future, faces off against Egyptian gods in the afterlife, and searches for love. 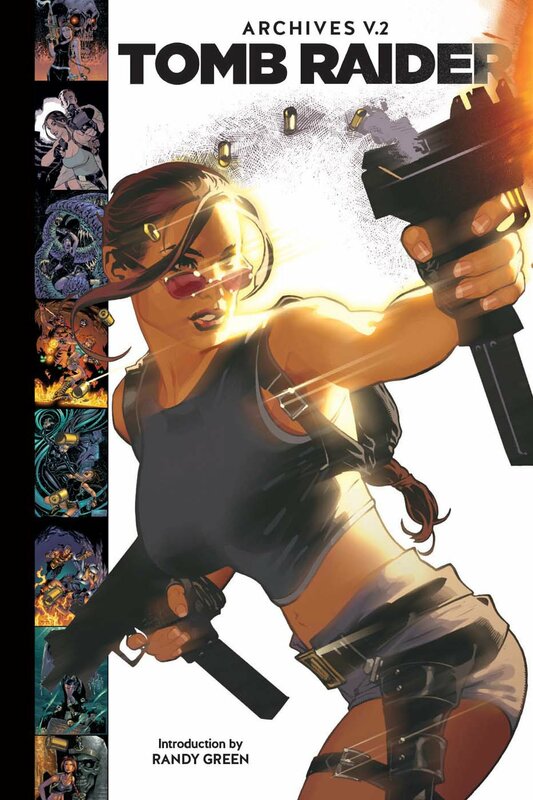 This deluxe oversized hardcover collects issues #16–#24 and #26–#34 of the 1999 Top Cow Tomb Raider series and features the art of superstar artists Adam Hughes, Michael Turner, Andy Park, Randy Green, Tony Daniel, and many more! New writers John Ney Rieber, James Bonny, and Adam Hughes join Dan Jurgens in telling Lara’s story.